Cornel Rasanga Amoth was born on 22nd May 1957 to the Late Senior Chief Amoth Owira and the Late Yunia Nudi in Segere Village, Alego in Siaya County. Charles Ogada, the County Executive Committee Member for Agriculture, Food, Livestock and Fisheries, brings on board a wealth of experience in agriculture and rural development. Charles who hails from Ugunja Sub County has over 20 years’ experience in the non-governmental sector in areas of Agriculture, Adaptive Research and ICTs. He has promoted sustainable agriculture practices in many ways and worked majorly on dissemination of appropriate technologies to farmers. He has partnered with research organizations such Kenya Agricultural Research and Livestock Organization (KALRO), Kenya Forestry Research Institute (KEFRI) and World Agroforestry Centre formerly ICRAF on transfer of research generated technologies to farmers. His most immediate position, prior to this nomination was as Programs Manager, Adaptive Research and ICTs at Ugunja Community Resources, where he was also in charge of an European Union supported CASSAVA Project in the counties of Siaya, Busia and Kisumu. Charles holds a Bachelor’s Degree in Project Management from the University of Nairobi and is presently a candidate for a Masters in Project Management from the same institution. Charles is married and has children. Born in 1958, Mrs. Dorothy Akinyi Owino hails from South Gem Ward in Gem Sub County. Having studied for her primary education at the then Ng’iya Intermediate School, Dorothy, went to Lwak Girls High School for her O and A levels of education scoring 1st Division and 2nd Principles in both respectively. For her higher education, Madam Dorothy studied Bachelor of Arts in Sociology and Masters of Arts in Population Studies both at the prestigious University of Nairobi. She has previously worked variously as a Community Development Officer, Assistant Director of Gender and Development, Project Manager for Integrated Population Reduction, Bungoma District Social Development Officer from 1988, Busia District Social Development Officer from 2004, 9 years as Community Development Officer in South Nyanza region, Project Manager from 2010 to 2014, Chief Officer at County Government of Siaya in The Education Department from 2014 to 2015 and Chief Officer for County Government of Siaya in The Health and Sanitation department from 2015 to early 2018. In her new engagement, Mrs. Owino envisions empowered youth, women and persons with disabilities in control of their social and economic livelihood. Mr. Joseph Obiero Warega was born in 1958 in East Yimbo ward in Siaya County, Bondo Sub County Kenya. He holds a bachelor of commerce degree in accounting and several professional qualifications at Diploma and Certificate levels in accounting and public finance management with a rich work experience of about 30 years in government accounting and finance management. 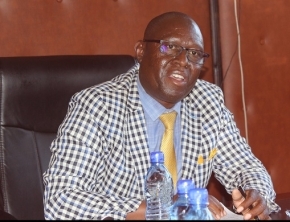 He was employed in October 1984 as accountant 11 scaling up the ladder through positions of accountant 1, senior accountant, chief accountant, principal accountant and senior principal accountant within the National Government of Kenya. Warega also served as financial controller of the Nyayo Tea Zones Development Cooperation for 5 years. He later served in various positions which included deputy head of accounting unit, office of the president and finally head of accounting unit, Ministry of Local Government. 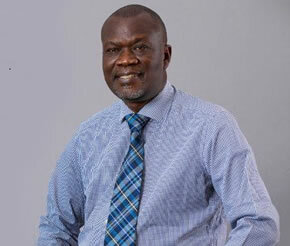 Before rising to the position of Finance County Executive, Mr. Warega has lately served the County Government of Siaya in the position of Director of Finance in the same department of Finance, Economic Planning and Vision 2030, a position that serves the whole county’s financial management function. 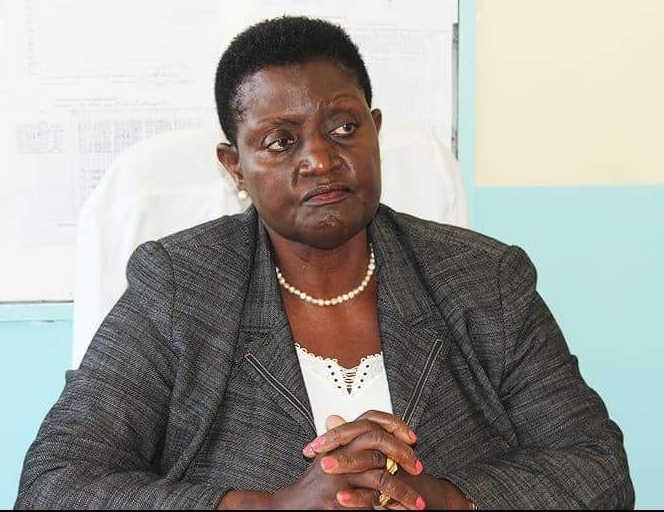 Born in July 1971 and hailing from Bondo Sub County in Siaya County, Dr. Elizabeth holds a Doctor of Philosophy in Literature from Maseno University of year 2014, a Master of Arts Degree in Literature from Maseno University of year 2009 and a Bachelor of Education (Arts) degree. She has been a lecturer at Jaramogi Oginga Odinga University (JOOUST) to date and previously served at the same institution as an Assistant Lecturer where she had risen from being the Deputy Principal, Mbaga Mixed Secondary School in Siaya County. Dr. Elizabeth brings to the department rich knowledge and grounded experience in matters relating to tourism development, culture intergration and development, organization of cultural events and activities and sports infrastructure development and promotion. Born in 1955 and a resident of West Ugenya ward, Ugenya Sub County in Siaya County, Mary Olute has a Master of Arts Degree in Leadership and Policy Education from Moi University in 2011, another Masters in Sociology (2003 – 2004), a Bachelor of Education Arts (Honors) and a Diploma in Counselling Skills from Amani Counselling Centre. She has previously served as the Secretary General of Kenya National Commission for United Nations Education Science and Cultural Organization (UNESCO), Kenya Office, Deputy Secretary General of Kenya National Commission for UNESCO, Assistant Director of Education and Provincial Director of Education for the Kenyan National Government. Mary studied at Kibuye Primary School, Kisumu and at Lwak Girls High School for her A & O levels.